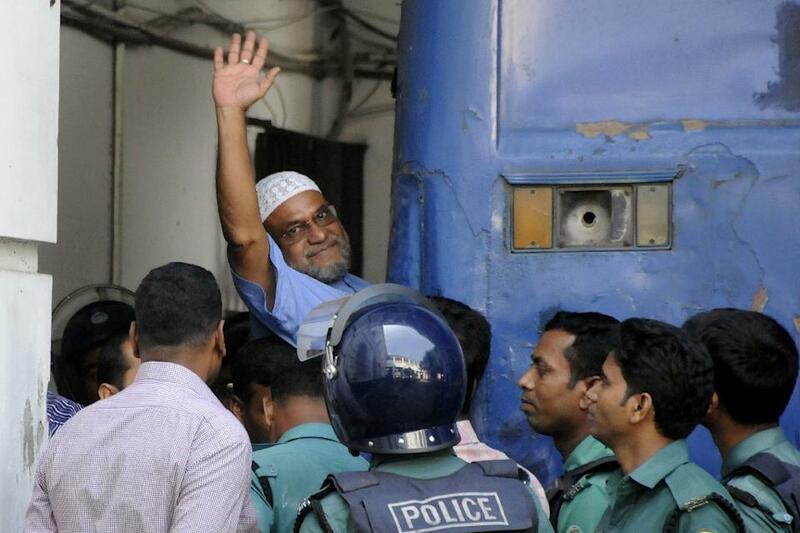 Bangladesh's Supreme Court on Tuesday upheld the death sentence of Jamaat-e-Islami's chief financier, imposed for war crimes, in a major blow to the country's biggest Islamist party. Mir Quasem Ali, a shipping and real estate tycoon, was convicted in 2014 of abducting and murdering a young fighter during Bangladesh's 1971 war of independence against Pakistan. Three senior Jamaat officials and a leader of the main opposition Bangladesh Nationalist Party (BNP) have been executed since December 2013 for war crimes, despite global criticism of their trials by a controversial tribunal. The trials have divided the country and sparked deadly protests, with supporters of Jamaat and the BNP branding them a sham aimed at eliminating their leaders. "The court upheld his death sentence for the abduction and murder of a young freedom fighter whose body was dumped in a river," Attorney General Mahbubey Alam told AFP. The 63-year-old senior party leader faces the gallows within months unless his case is reviewed by the same court or he is granted clemency by the Bangladeshi president. Abdur Rob, professor of political science at the North South University in Dhaka, said the ruling was a big setback for Jamaat. "He was the main financier of the party," he told AFP. "He also ran Jamaat's social and business enterprises and had very good connections across the world, especially in the Middle East." The executions and convictions of Jamaat officials plunged the country into one of its worst crises in 2013 when tens of thousands of Islamist activists clashed with police in nationwide protests that left some 500 people dead. In the same year it launched a nationwide crackdown of Jamaat activists in which tens of thousands of Islamists were either detained or sued over the protests. The latest verdict is expected to widen the divide between secular groups and Islamic hardliners in the Muslim-majority nation, which has seen recent killings of secular bloggers, religious minorities and foreigners. Opposition parties say the trials are politically motivated, aimed at weakening rivals to Prime Minister Sheikh Hasina's secular government. The trials come as the government has also been accused of a recent crackdown on dissent, including in independent media. Since it was set up by the government in 2010, the tribunal has sentenced more than a dozen opposition leaders for their roles in the war. The government maintains the trials are needed to heal the wounds of the conflict, which it says left three million people dead. 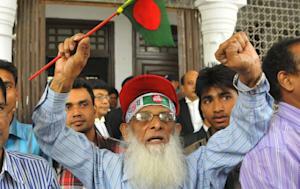 Jamaat called for a nationwide strike on Wednesday to protest against the verdict. The party has in recent months eschewed violent protests in reaction to war crimes verdicts. 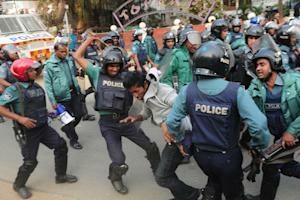 "The government conspired and planned to kill one after another of Jamaat's leaders. Mir Quasem Ali is a victim of a government conspiracy," Jamaat said in a statement. Ali had helped revive the party by setting up charities, businesses and trusts linked to it after it was allowed to operate in the late 1970s. Jamaat was banned after its leaders became key organisers of the notorious pro-Pakistani militia al-Badr during the nine-month war of independence. Before he was arrested in 2012 on 14 war crimes charges, Ali headed the Diganta Media Corporation, which owns a pro-Jamaat daily and a television station that was shut down in 2013 for inflaming religious tensions. Alam, the attorney general, said the tycoon had paid $25 million to a US lobbying firm to try to put a stop to the war crime trials of Jamaat leaders. Defence lawyers have said the charges against him were "baseless and false" and that he was not at the crime scenes during the war. Ali's wife called the court's decision "a travesty of justice". Rights groups have also criticised the trials, saying they fall short of international standards and lack any foreign oversight. Jamaat opposed the wartime struggle for independence, and sided with the military regime in Islamabad. Independent researchers estimate that between 300,000 and 500,000 people died in the 1971 conflict. Not good enough for national politics. Please login first. It only takes few seconds to register.